Sanghamitra Institute is a project to help transform the lives of girls and women in Bodhgaya, a village in northern India with huge problems and enormous potential. Famed as the site of the Buddha’s enlightenment, the village is a pilgrimage destination and tourist center that attracts several million international visitors each year. These visitors speak every language under the sun and language competency is the key to success for local residents. Bodhgaya is located in one of India's poorest states, where almost 70% of the residents live in poverty. Established in 2003, Sanghamitra Institute’s first initiative was to provide free education for children from local villages. 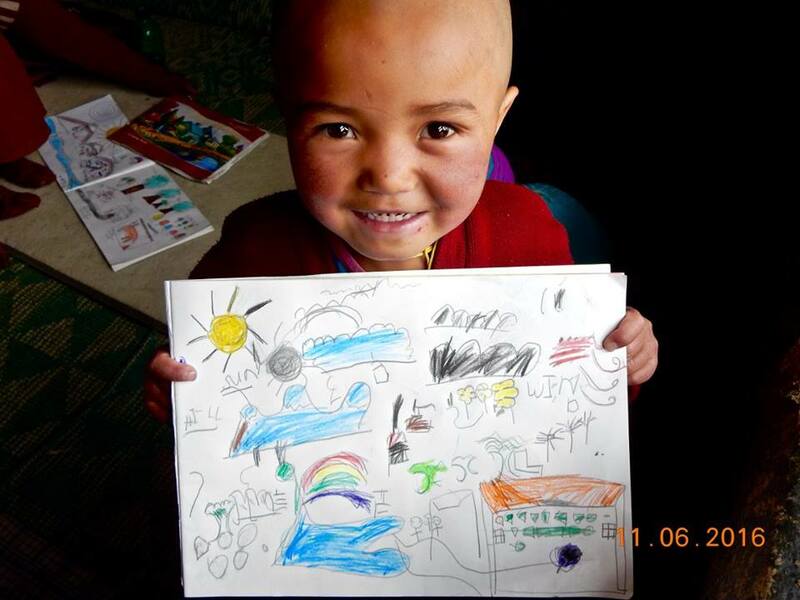 During the summer, despite the heat, dedicated graduate student volunteers from California and Sikkim organized primary school classes in English, math, and hygiene for 120 local village children. The joy in the students’ eyes shone bright and clear! Sanghamitra’s second initiative was to provide a place for students from the snowy Himalayas to study during the six months of freezing cold in their homelands. 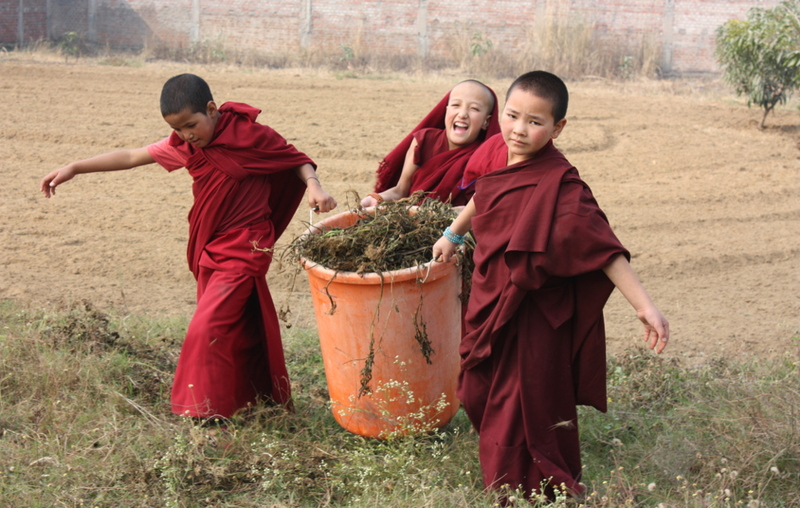 During the spring, after receiving the Kalachakra empowerment with His Holiness the Dalai Lama, the nuns moved into tents on the property and began earnestly studying Buddhist philosophy. 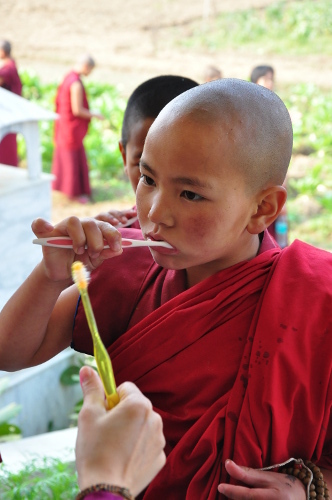 In a variety of classes, students learned the Buddha’s teachings, languages, and practical skills that will enable them to benefit their communities and have a bright and happy future. Language competency is just the beginning. 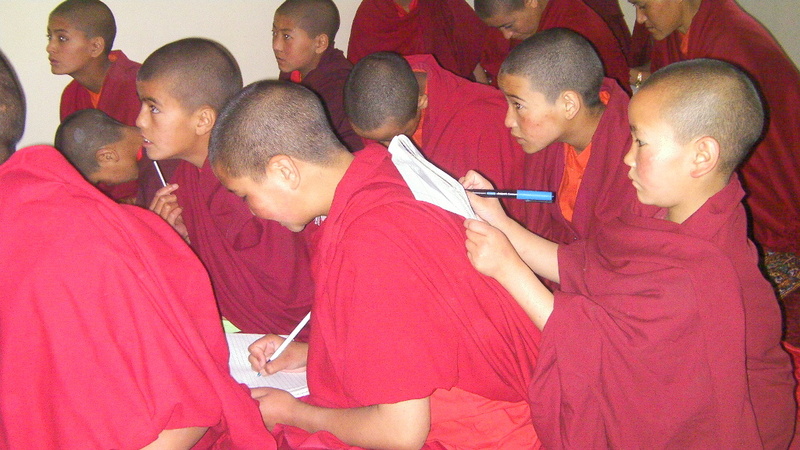 Once the students gain language skills, they are able to access educational materials in Enlish, Hindi, and Tibetan. Classes in a range of subjects prepares the students to eventually become competent, well-rounded teachers in their villages. Both in Bihar and in remote Himalayan mountain areas, education is often regarded as unnecessary for girls. The girls’ families are poor and believe that girls don’t need to study, because they will get married. If the parents can only afford to send one child to school, they prefer to send a boy. However, as is well known, statistics show that the greatest single indicator for a country’s progress is the education of girls. 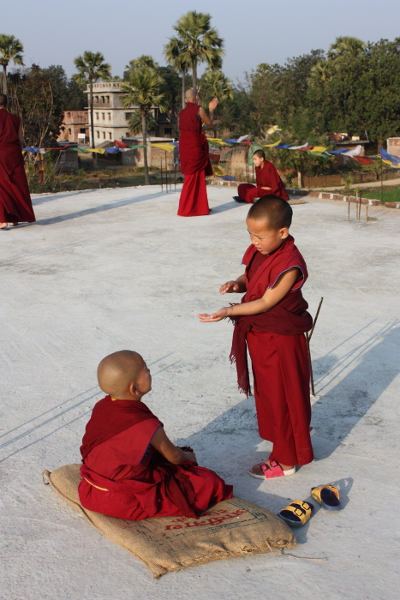 Sanghamitra Institute is registered as a charitable foundation in India and operated by Jamyang Foundation, a non-profit organization registered in California since 1999. The institute is dedicated to improving the lives of women and children from economically, educationally, and socially disadvantaged backgrounds. Dedicated teachers and Indian and international volunteers facilitate learning among some of the world’s neediest and most promising students. Providing education programs at Sanghamitra Institute is a major step in creating greater gender equality in educationally disadvantaged areas of India. In 2012, after many struggles, Sanghamitra Institute opened its doors to the first batch of residential students. The 40 Buddhist nuns in this first group traveled for four days to Bodhgaya from the remote Himalayan regions of Kinnaur and Spiti. Every year since then, successive groups of students have continued to make the most of Sanghamitra’s free educartion programs. After 2,600 years of Buddhist history, women finally have a place of their own in Bodhgaya!